If you're looking for delicious healthy drink recipes- this is the place for you! Here we share smoothies, cocktails, and other lightened up, yummy drinks! From this Easy Avocado Green Smoothie to our favorite Cucumber Lemonade Vodka Cocktail - you'll find all your favorite healthy drink recipes here! 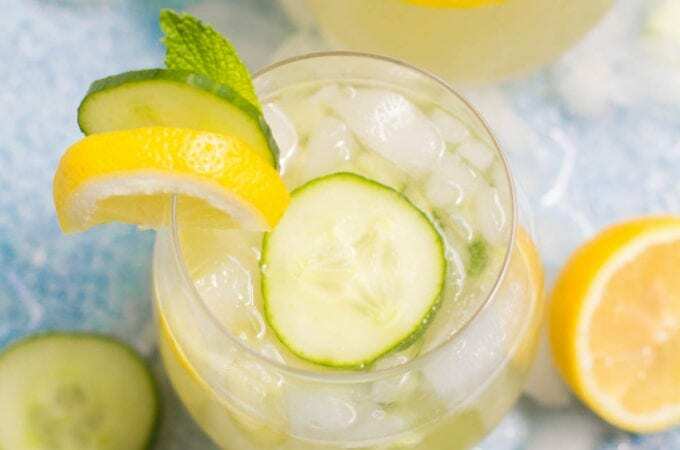 This Cucumber Lemonade Vodka Cocktail Recipe is the perfect drink to cool off + relax with! Low in sugar, super tasty and the perfect cucumber cocktail! Looking for a refreshing drink to cool off with? 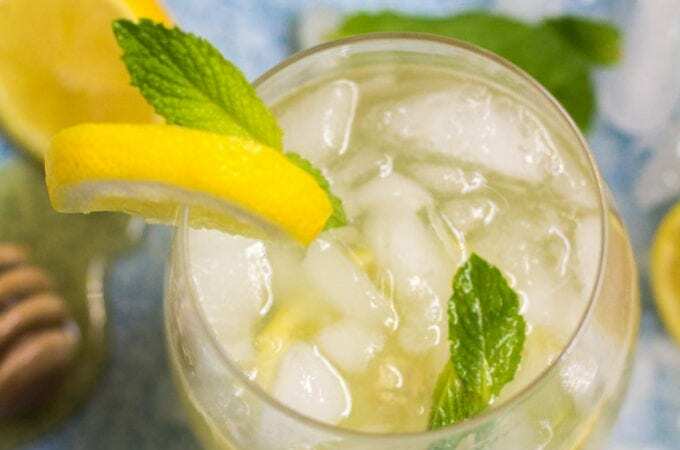 This Healthy Honey Mint Lemonade recipe is easy to make, sweetened only with honey and so yummy! Looking for a refreshing summer cocktail? 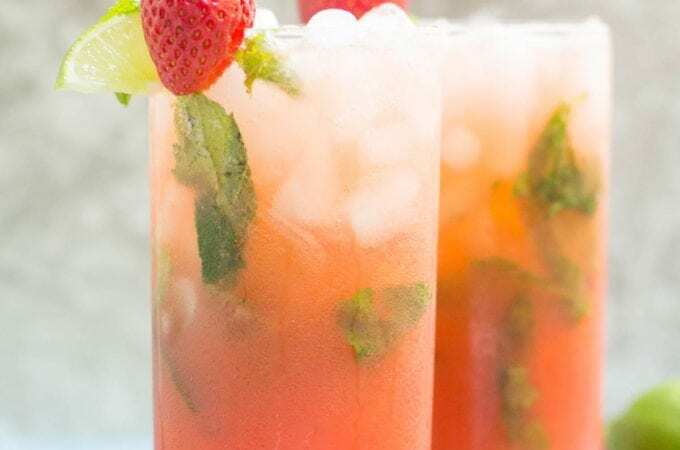 Try this Healthy Strawberry Mojito recipe! Sweetened only with honey and fruit, it’s low in sugar and delicious! Looking for a cozy, anti-inflammatory drink? 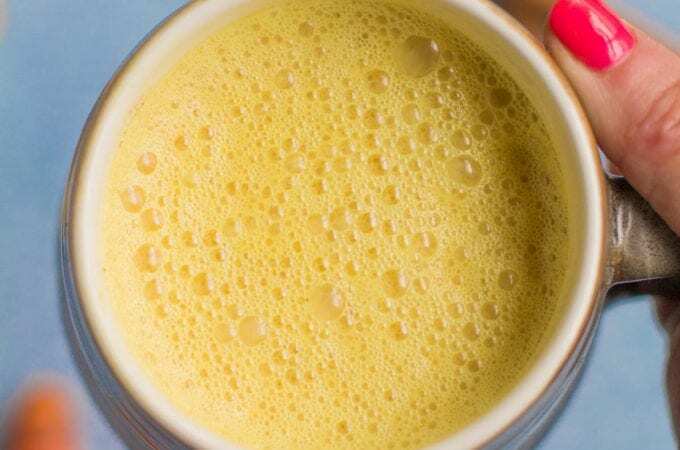 Try this Whole30 Turmeric Ginger Latte recipe! Made with only 6 simple ingredients – it’s easy and delicious!